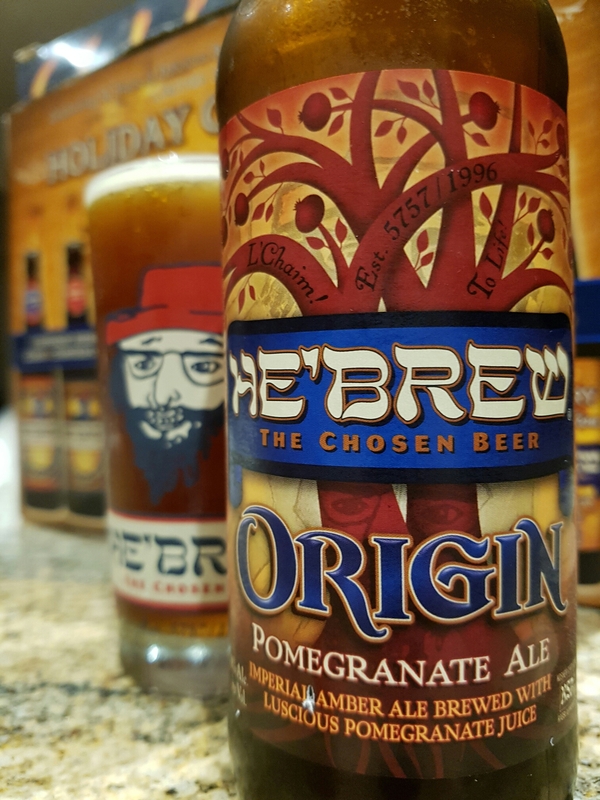 He’Brew Origin Pomegranate Ale – Shmaltz Brewing Co. (NY, USA) | Justintoxicated. Visual: (cellared for 4 years). Pours translucent reddish brown with a very small dissipating head, ringed retention with thin island, fast steady big bubble streams. Finish: pomegranate fruity, toasted malt exhale, subtle soft bitter hops. Summary: I very much liked the wide range of taste sensations incorporating sweet-tangy-acidic-sour-toasted-bitter-alcohol; lots to experience with a very nice balance and mouthfeel.